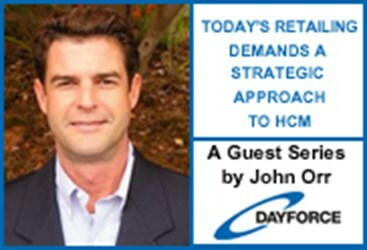 This is the final installment in a four-part series on human capital management (HCM) for retailers. The past three installments have explored the many ways retail organizations can employ HCM technology to help carry out best-practices in improving, for instance, employee engagement and the efficiency of their human resource processes. The latter, the efficiency of HR technology, is about to become as critical as ever not only to retail organizations’ ability to foster goodwill with employees, but also to their ability to follow the law. Regulations are tightening on businesses, and regulatory compliance related to the Affordable Care Act (ACA), especially, will make having the right HCM technology in place a necessity, not just a luxury. The time to prepare is now, literally. A need to replace what isn’t working with something better is sel-evident. Fortunately, retailers that change their technology in order to improve their ability to follow the law will improve their engagement with employees, too. A focal point of this series has been employee engagement through self-service (ESS). Organizations that create an environment in which it is easy, inviting and sticky for employees to monitor and take care of as much of their own core HR as possible (e.g., time and attendance, W2 status, health benefits, address changes, etc.) will have eliminated a major, yet hidden, obstacle to employee engagement. Why? Those are all the basics of employment, the elements most take for granted in exchange for providing their hours of labor. The last thing any company needs is for the basics of employment to be complicated or confusing for employees to navigate and follow. Having the right technology in place is essential. Retail floor associates need as much control as possible to manage the basics of their own employment, and having that control frees them to spend more of their time on customer-centric activities. Additionally, having an intuitive, efficient back-end for the technology supporting workforce management (WFM), with deeper and broader visibility into the workforce’s everyday activities, is equally important. That back end is where HR practitioners and floor managers alike run payroll, initiate changes to individuals’ and groups’ work shifts, monitor employees’ attendance, administer benefits, and more. The control center, it’s where management’s activity abuts employees’ self-directed efforts and where management can see where improvements might further free the workforce to focus on the customer. For the best-performing retailers, in fact, “the focus of workforce management processes is on building revenue, not only on keeping a lid on labor spend,” according to a Retail Systems Research (RSR) report titled “WFM 2013: The Store Employee in the Customer Age.” Furthermore, 82 percent of retailers surveyed by RSR say “the role of the workforce in enabling customer service” has grown in importance over the past three years. Better insight into the workforce’s everyday activity on the job can help retailers remove obstacles impeding floor associates’ ability to focus on customers. All the moving parts of WFM and core HR, plus payroll, need to work in concert, seamlessly and in real-time—not as a cacophony of noise. Here is where most systems fall far short of the mark. The technologies most retail organizations have in place for all this are hodgepodges of solutions from different origins and connected through several interfaces and/or a user interface portal placed on top. Indeed, most HR environments have multiple systems, with 68 percent of these environments comprising two to five, according to findings in “Managing Talent through Technology: HCM Buying Trends in 2013,”a recent Bersin by Deloitte research report. All these interfaces slow or block data from flowing freely between payroll and, for instance, time and attendance. In addition, these fragile interfaces often force manual workarounds that invite error. The circumstances render real-time, full views of the workforce at any moment in time elusive. Vendors call these technologies “integrated solutions.” That sounds good, but leads to frustration for HR/payroll departments and floor managers as they struggle to obtain current and broadly applicable information about their staff. Management’s predicament impedes employee engagement; after all, the clunkiness typically extends to the ESS, too. Failing to create the conditions for positive employee engagement is one thing. The connection has been established time and time again that poor employee engagement leads to profit losses in retail, and the road from there to insolvency can be precipitous. But failing to comply with regulations is another thing altogether, and noncompliance with ACA regulations promises to be an easy infraction to commit for retail organizations that fail to have technology in place that provides a real-time view of critical aspects of the workforce. Get ready to follow the rules and do some math…. In 2014, the IRS will begin defining large employers as those employing on average at least 50 in full-time personnel during the preceding calendar year. Employees fitting the new definition of full time will be any who average 30 or more hours of service per week or 130 hours of service per month. Shift fluidity is a mainstay of employment in retail. The most common employee working as a floor associate in retail organizations is a Variable Hour employee, one of the two categories of employee identified in the ACA (the other being Non-Hourly Employee). Any given member of staff might fit the definition under one of the aforementioned conditions, working more than 30 hours one week, and then far fewer than 30 hours the next. According to the ACA, organizations must determine whether or not a Variable Hour employee is full-time by looking back at the employee’s service hours and evaluating those against the average 30 hours per week or 130 hours per month threshold during a standard measurement period looking back over 3 to 12 consecutive calendar months. From this point forward, small retailers will have to watch employees’ hours closely; becoming large employers, as defined under the Shared Responsibility or “Play or Pay” regulations, could happen easily happen to these retailers, necessitating that they then offer minimum essential coverage to those newly identified full-time employees. Failing to provide it results in costly penalties in the form of additional loaded labor costs, IRS fines, and even lawsuits. Organizations with enough employees to be categorized as large employers already will see the number of employees requiring coverage rise significantly. Along with fines, the lack of compliance may expose high-profile organizations, potentially, to negative publicity. Many retail employees request extra hours on some weeks and extra time off on other weeks, by the way. A surefire way to throw cold water on a positive employer–employee relationship is for the employer to track the employee’s hours incorrectly and neglect to provide him or her with health insurance, as mandated by the ACA. By the same token, an even better way to maintain and strengthen that employer–employee bond is to give the employee power, through the ESS, to monitor how her hours are tracking against ACA requirements. Besides, let’s say, after alerts and monitoring, a part-timer ends up working hours that trigger benefits eligibility. Most systems today would not automatically extend benefits, yet a safety net or back-stop for this very possibility is crucial to have. Calculations Begin…Yesterday: Is Your Technology Capable? Again, the IRS will be using 2013 numbers next year to determine which of an organization’s employees, under the new definition, are full-time and, therefore, required to receive healthcare benefits. And time may already have run out. The IRS will use a rolling 12-month period for audits. That means 2013 data will apply to 2014 enforcement. To provide a look-back period of 6 months, employers that traditionally begin their annual enrollment periods in October of each year may have needed to begin tracking employees’ hours of service as early as April 1, 2013—i.e., in order to take advantage of the safe harbor rules, April 1 of this year would have been the latest that these businesses could begin tracking data and managing their workforce accordingly. Yet retail organizations lacking the right technology will find the new rules nearly unnavigable in their attempts to determine whether or not their employees fit the definition of full time. Without having real-time, combinable data from across the areas of workforce management affected, how will an organization even know which employees are which? The ability to plan and track time and attendance in combination with payroll and benefits, all in real-time, is now mission-critical. Any technology that produces static data, data that’s old, or data that won’t combine seamlessly across these areas, generates numbers that do not support accurate calculations to carry out the new math of full-time employment under the ACA. Recent research suggests that organizations understand the severe limitations of their existing systems and the urgency of obtaining new ones: A majority (57 percent) of organizations are planning to purchase new HR or talent management technology in the next 18 months, according to Bersin by Deloitte, which also finds that only 24 percent plan to purchase that new technology from the vendor of their existing technology. Plus, more than half of all retailers are currently working on or planning to implement better planning and scheduling solutions, finds RSR. A great way to squander goodwill with staff is by failing to provide employees with healthcare benefits if they’re eligible. Remaining ACA-compliant is not only the law, but also good for employee relations—and only manageable with the right HCM technology. A solution that can record and organize data representing a broad view of the workforce, while seamlessly interpreting the data in real time for benefits functionality, will prove to be valuable. These are the very features of Ceridian’s Dayforce HCM that make it the right system for remaining ACA-compliant. For HR to monitor and plan workers’ hours accurately, scheduling and schedule editing must be fluid, combined with the broader system. Retailers need a technology that uses just one application drawing on just one source of the truth, with rules aligned to the newly required analysis. A technology that does so provides the only way to combine all data from time, payroll and benefits in real-time and at once track part-time (i.e., Variable Hour) employees’ average weekly hours across a rolling period of time and trigger bullet-proof alerts based on data from current and planned schedules. Only a solution of this kind will be capable of noticing when an employee trips into benefits eligibility, and the solution that does so must do so automatically.